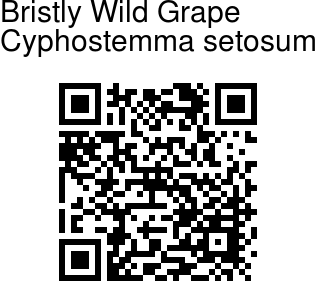 Bristly Wild Grape is a succulent climber clothed with bristly hairs. Leaves are trifoliate rarely lower ones simple, fleshy, nearly stalkless, shortly stalked, elliptic, ovoate to obovate, blunt, rounded at the base, stringly sawtoothed, up to 7 x 5 cms. Lateral veins are obscure, berry ovate, densely bristly, bright red when ripen, 1-seeded, seeds ovoid, deeply pitted and rounded toothed on the margins. Bristly Wild Grape is found in the dry localities in peninsular India, on dry stony hills up to 800 m, sometimes on black soil plains. Maharashtra, Andhra Pradesh, Karnataka and Tamil Nadu. It is also found in Sri Lanka. 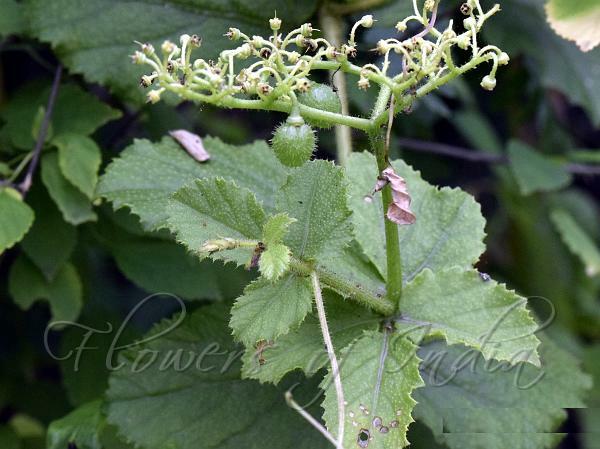 Medicinal uses: The leaves are applied to ulcers to promote suppuration and to assist in the extraction of Guinea worms.